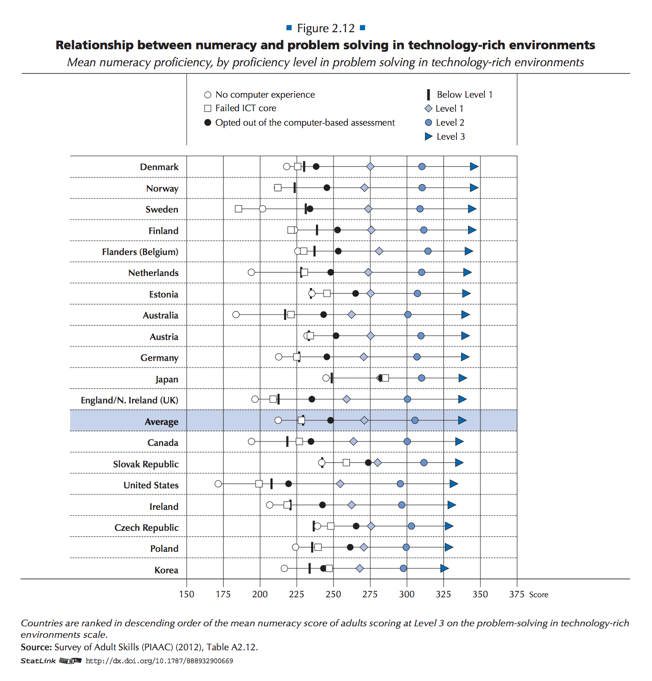 OECD (2015), Graph 2.5. 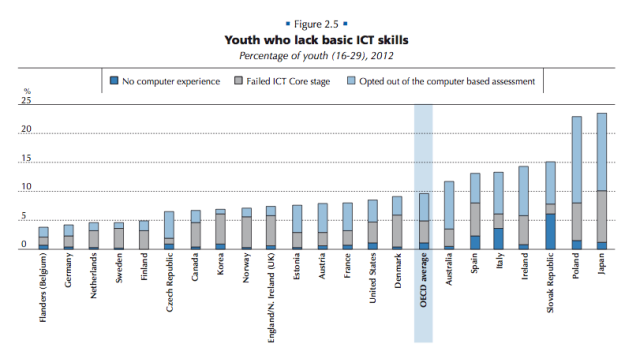 Youth who lack basic ICT skills: Percentage of youth (16-29), 2012, in OECD Skills Outlook 2015, OECD Publishing, Paris. OECD (2013), Box 2.3. Figure a. 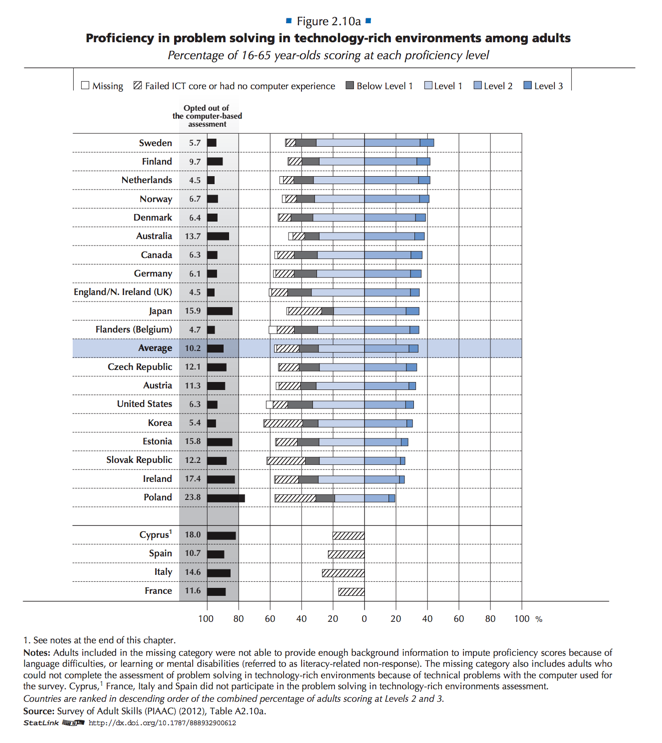 Percentage of respondents taking different pathways in the Survey of Adult Skills (PIAAC), 2013, in OECD Skills Outlook 2015 - Youth, Skills and Employability, OECD Publishing, Paris. This may represent an over-estimate of the proportion of the Japanese adult population with very low levels of ICT skills. 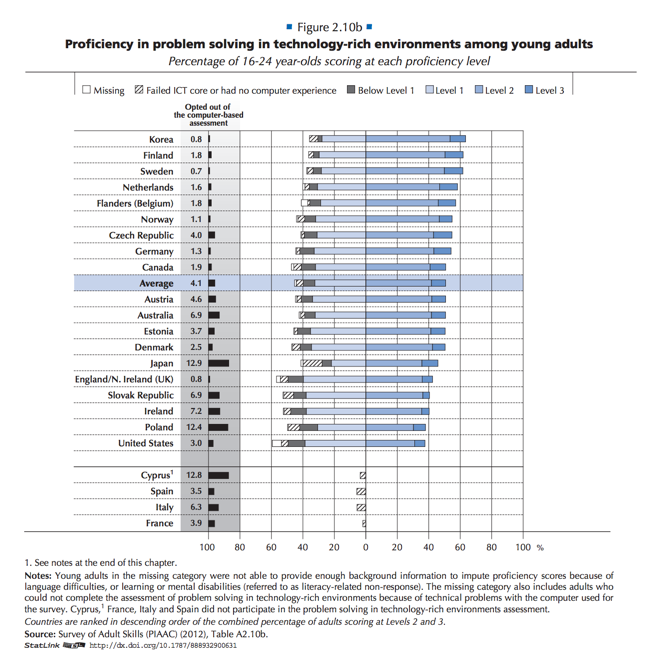 In particular, the proficiency in literacy and numeracy of these respondents in Japan was far higher compared to that of adults reporting no prior computer use in other countries. 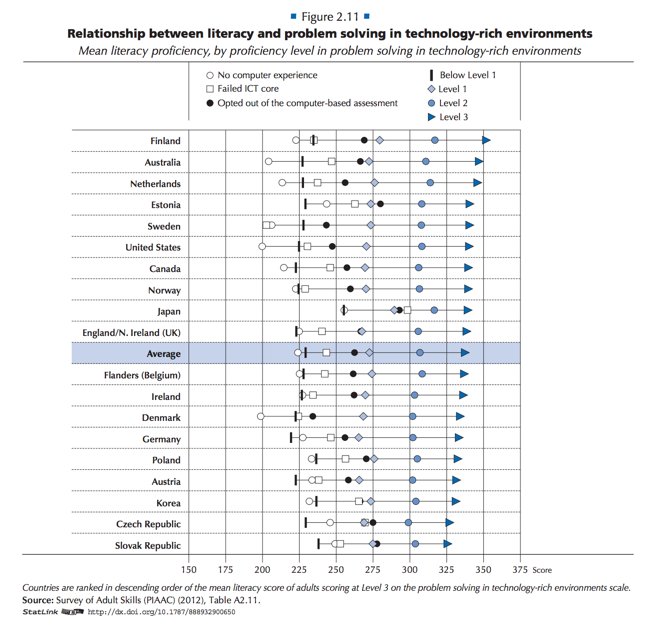 Japan is, again, the exception: the average literacy score among individuals who failed the ICT core is around 300 points. At the same time, the majority of those failing the core in Japan reported limited use of ICTs in everyday life. Have you ever used a computer? Do you use a computer in your everyday life now? How often do you usually … use email? selling products or services, or banking? How often do you usually … use spreadsheet software, for example Excel? Use a word processor, for example Word? example online conferences or chat groups?